From the very beginning the concept of fencing was inverted in the American colonies. In England the law required that domesticated animals be fenced in and managed on a piece of property- it was a strategy of retention. In the Americas however, a tradition of common lands and open grazing quickly developed. Livestock were left to roam free and rounded up at the end of the season for slaughter or overwintering in barns, while farmers were responsible for fencing in their fields or subsistence gardens. And so they did, developing fence types as a defensive strategy of detention, meant to keep hogs, deer, goats and other livestock or wild animals at bay. Though the spatial patterns and urbanization regimes varied wildly throughout the Americas, the fencing strategy of enclosed, agricultural production surrounded by expansive open lands for grazing was normalized from the commons of New England to the haciendas of California and Mexico, the estancias of Chile and Argentina, and the fazendas of Brazil. The materials at hand influenced the fence types developed. 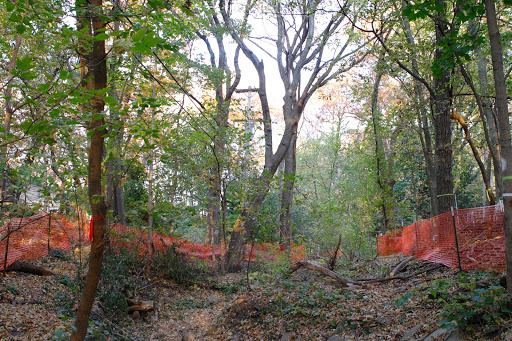 The Virginia worm fence was especially popular in the English colonies on the Atlantic seaboard. Despite using massive quantities of wood it needed no metal, leather, mortar, or other valuable materials and could be cannibalized during the winter for firewood when there were no crops to protect. This policy quickly brought the colonists in the east into conflict with the indigenous people who considered the lands to be their hunting grounds and the roaming pigs to be free game. 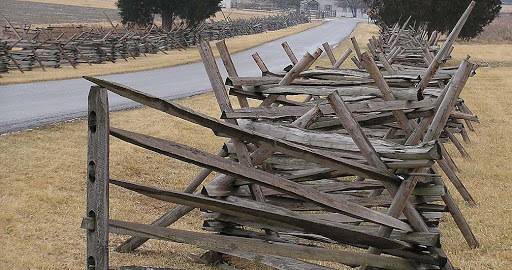 Despite the political difficulties, the material demands of this fencing strategy were well suited to the eastern seaboard and the technology began to spread west during the 19thcentury. While the Louisiana Purchase in 1804 opened up the possibility of US expansion westward, it was not until nearly 60 years later with the signing of the Homestead Act by Abraham Lincoln that population pressure began to increase. With the ending of the civil war, the maturation of canal technologies and rise of steam locomotive engines, Americans began pushing to expand out of the woodland areas of Appalachia and into the plains. In the Midwest there were few trees, and there certainly weren’t enough to build a house and construct a ridiculous worm-fence around one’s property to protect the farm from the cattle and bison roaming free. Barbed wire made homestead settlement there possible. By offering a fence technology that used very little wood and was relatively easy to construct, barbed wire fencing made it possible to farm in the Midwest. 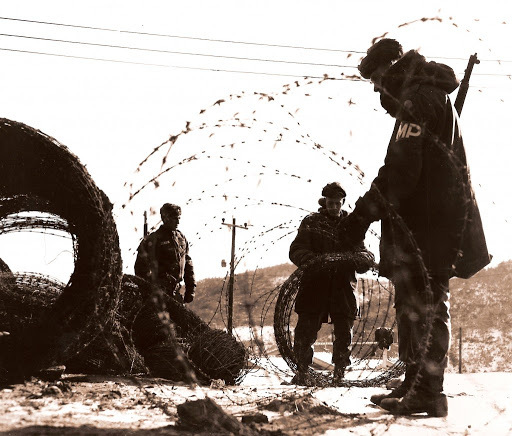 Sales of barbed wire boomed. The Texas Genealogy and History site notes that in 1875 the Washburn and Moen Wire Company sold 10,000 pounds of barbed wire. Five years later it sold nearly 51,000,000 pounds in Texas alone. Railroad right-of-ways were required to be lined with the wire, which proved a useful source to farmers who found themselves in a pinch or without the ability to get to market. National armies quickly realized that this wire not only hindered livestock but also humans and anything else made of flesh, and it was quickly deployed to demarcate defensive positions. 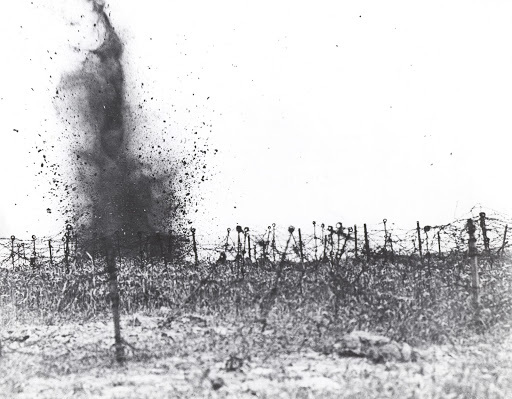 Coils of the stuff were rolled out between trenches to create thick defensive membranes that offered little resistance to mortars and bullets but were impenetrable to grounded fleshy combatants. Within a century this temporary strategy had crystallized along contested borders such as the Korean DMZ or parts of the US-Mexico border. A frontier technology was adapted for the border landscape. Deploying barbed wire is a land-assault strategy: it is a measure of control for creating a territory, and it is geographical (just putting a chunk down that one can easily go around does nothing). And it is perceived as a particularly nasty one, offending our delicate sensibilities because it confronts a most basic weakness- fleshness. But this was not always the case- there was a time when barbed wire fencing was perceived as a miracle of the American frontier can-do spirit, and as such there are still historical societies and old-timers that travel around collecting special pieces of the stuff. Levi Bryant’s ontic principlesuggest to us that a whole new range of fence types might be developed and deployed, and that especially in frontier landscapes– those defined by ambiguous and overlapping jurisdictions, perceived dangers, and latent potentiality- fencing might be particularly apt as a strategy for respecting difference. Everyone has seen if not noticed the weeds and trees that spring up along guardrails and fence lines that can’t be easily mowed. 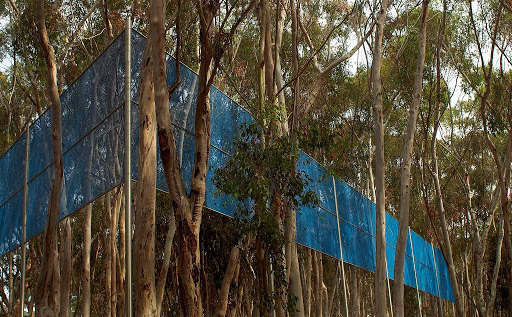 Robert Irwin’s “Two Running Violet V Forms” showed that fences can create difference without limiting human movement, and Brett Milligan’s “Goats on Belmont” project is an example of a fence generating the conditions for a recreational landscape [granted, it’s a stupid chain link fence and it’s the project that is smart. nonetheless the project couldn’t happen without the fence]. 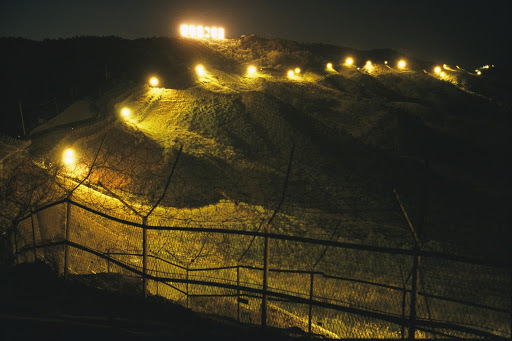 We’d like to see more ASLA awards go to landscape projects laced with flesh-tearing wire, keeping out voracious yuppy whiners like ourselves and sharing its secrets only with the lunatics, chimney swifts, and mycorrhizae that respect the de/militarized landscape. That may be a bridge to far for now, but by considering seemingly mundane, offensive, or inappropriate technologies in the context of the frontier landscape that is endemic to the Americas, we might develop some new possibilities for program, form and construction of a real public space. Save the Chimney Swift, build more flesh-tearing fences! Really appreciate the linking of the ontic principle with the fence at the Goats on Belmont project. In nearly equal measure with the goats, that stupid flimsy fence generates all kinds of things that continue to surprise me. Its very stupidness is its curious vibrancy. 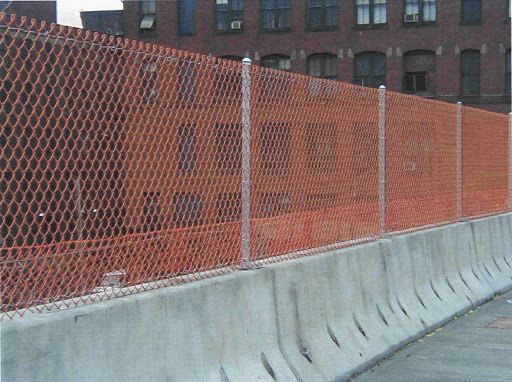 ….and I've long been obsessed with the gloriously banal quality of construction fencing.